A traveler’s backpack is often one of their most prized possessions, and with good reason because a lot of work goes into picking out your backpack and making sure its just right for the kind of travel you are doing. This past Christmas, I decided it was time to make the leap and invest in a quality, carryon-sized backpack that I could use for upcoming adventures, including my 2.5 week trip through Europe this past Spring. 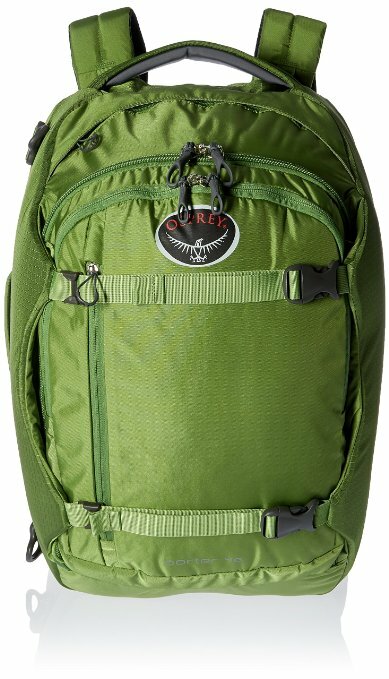 After countless hours of research reading blog posts and reviews online and talking with friends who have backpacked, I decided trade in my Caribee Jet 65L for the sleeker and smaller Osprey Porter 46L backpack. 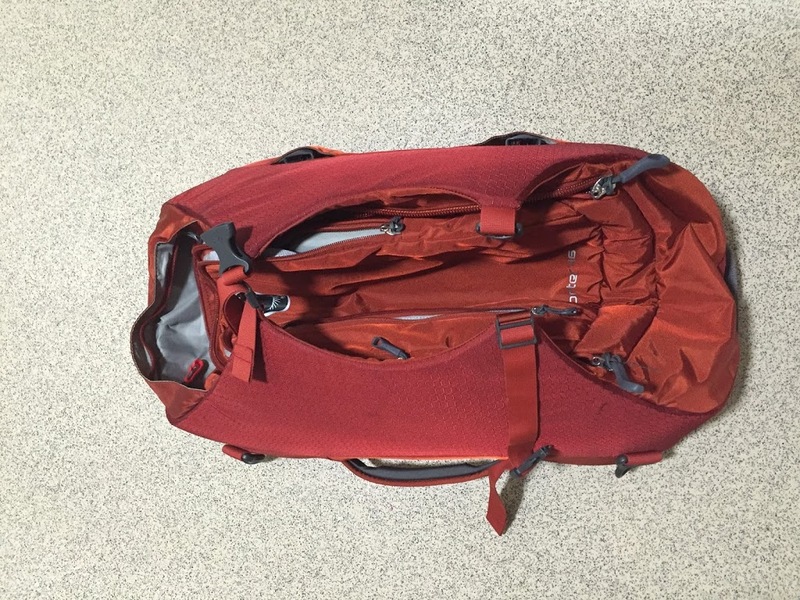 After having this bag for 9 months and taking it on a couple different trips, I am absolutely in love with it and I recommend to everyone I know that is looking for a good backpack. I loathe top loading bags because I am the tpe of person who wants to be able to access all her stuff without having to unpack everything and so the most important factor when I was searching for a bag was to have a front loading panel that unzipped all the way. 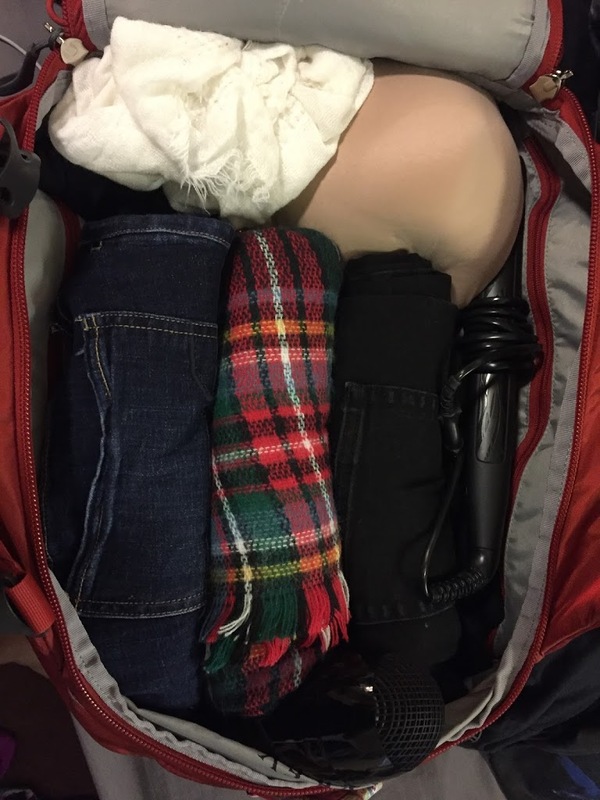 The way this bag opens makes it as easy to access your clothes as a traditional suitcase! 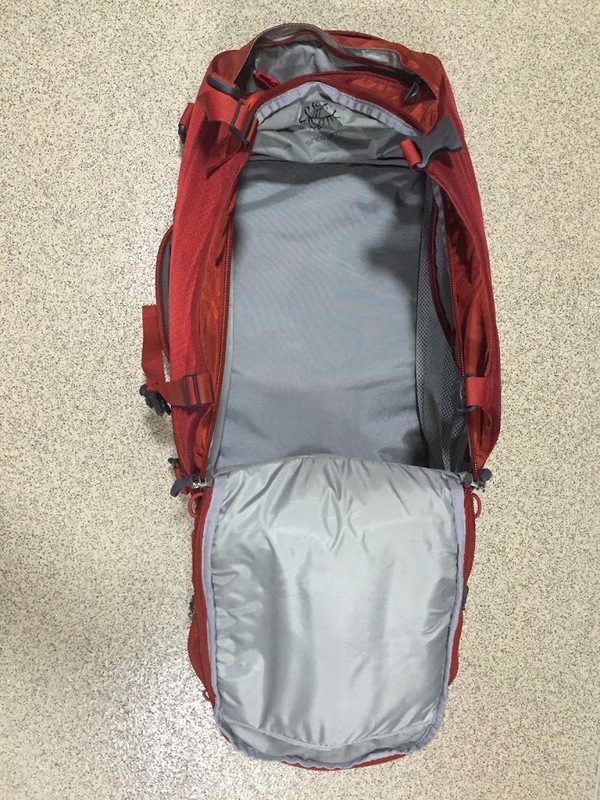 I swear every time I open my Porter 46L I find another pocket for hiding and compressing my stuff. 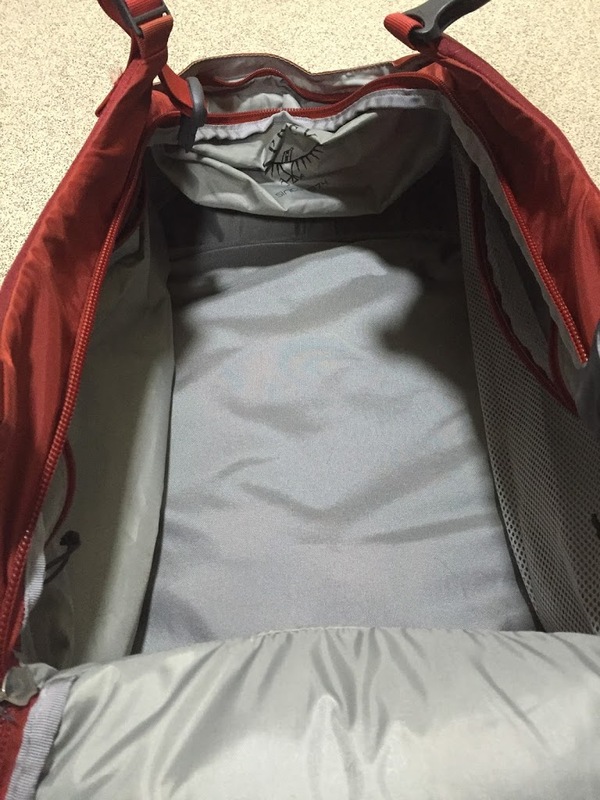 Of course there is the main pocket, but within it there is one pocket on each side. 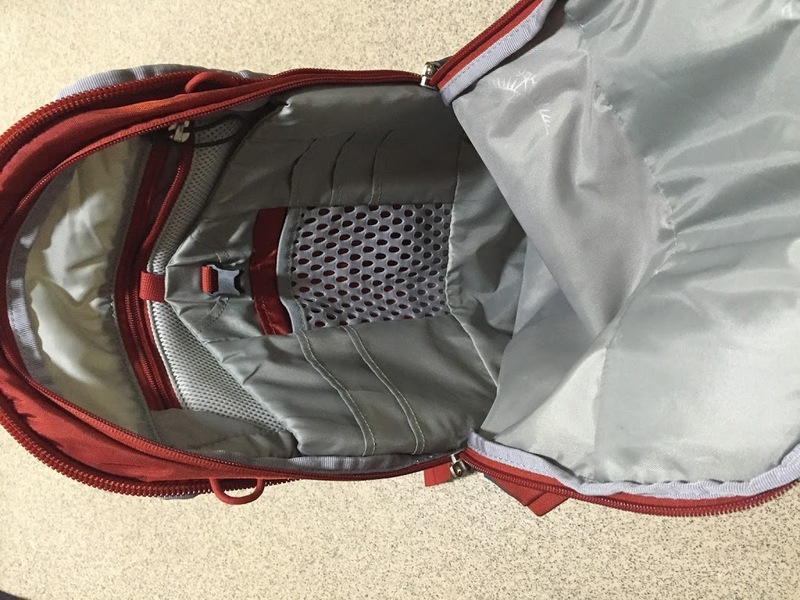 There is a pocket on top of the bag(pic on right) and one on the front panel, plus a second main pocket with a laptop sleeve, small zippered pocket, main compartment and small organizational pockets(middle picture). 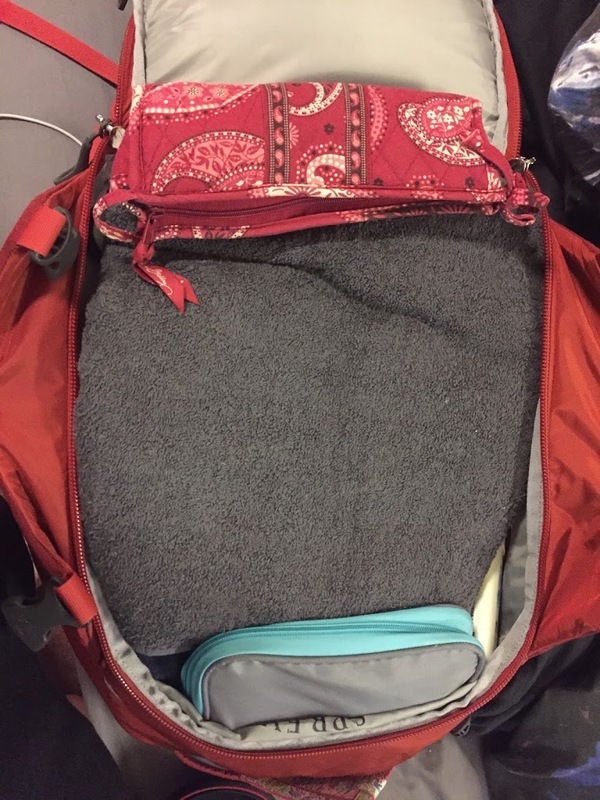 AND theres a pocket on the back to tuck away the straps(more on that below) that is a good place to store important travel documents such as boarding passes and a photocopy of your passport. 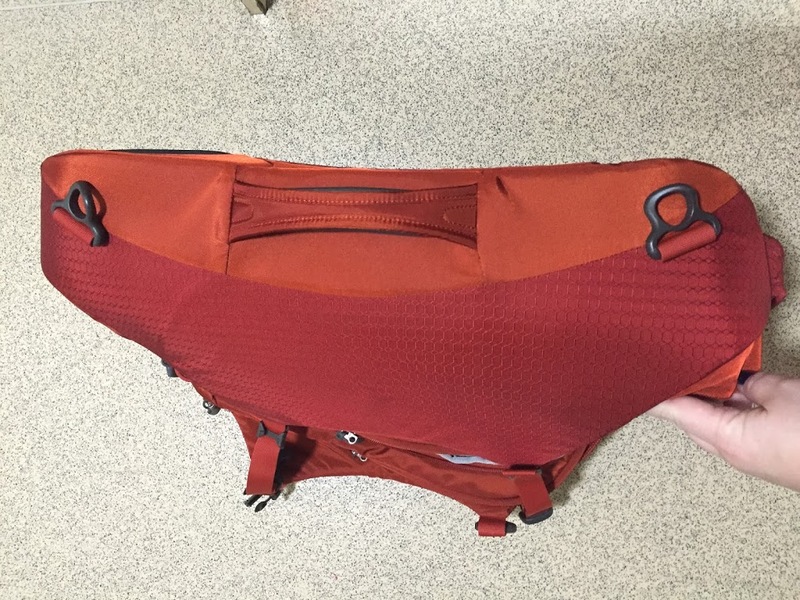 I mentioned this briefly above, but there is a pocket on the back where you can tuck away the shoulder straps if you have to/want to check the bag in and dont want to risk the straps being harmed by bag handlers. 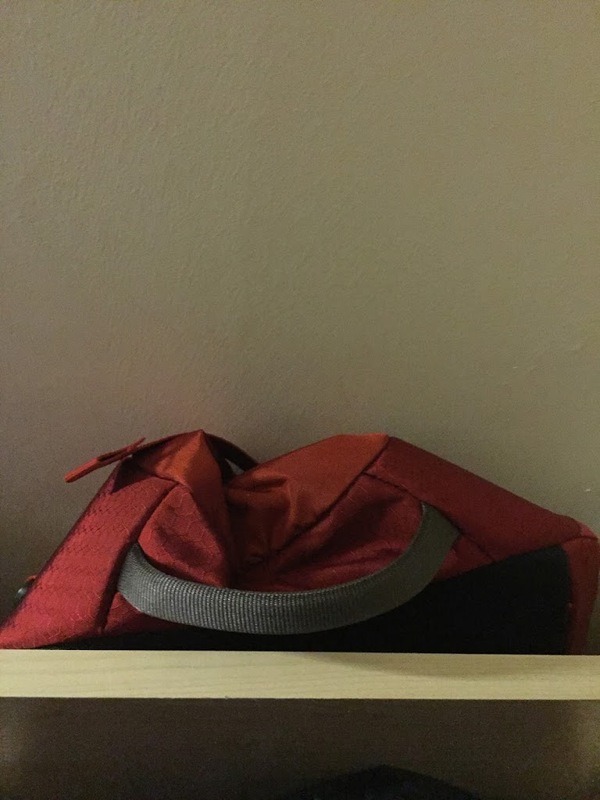 This feature is one of my favorites because I have had previously bags bite the dust after having handles broken during transport and this feature means my bag *should* survive longer. Speaking of straps and handles, when your straps are tuckeed away, there is a handle on the side(plus some on the top and bottom) AND a place to attach a duffle style strap (pictured in center) if that entices you. Things I hate: waiting at baggage claim, paying to check a bag, airlines damaging my luggage, and my luggage getting lost. This bag’s size means I never have to deal with these struggles because I can carry it on and have it in my possession at all times. No more worrying about my luggage not making a connecting flight, no more long waits at baggage claim, and NO MORE CHECKED BAG FEES!!!6. Comes in different colors! 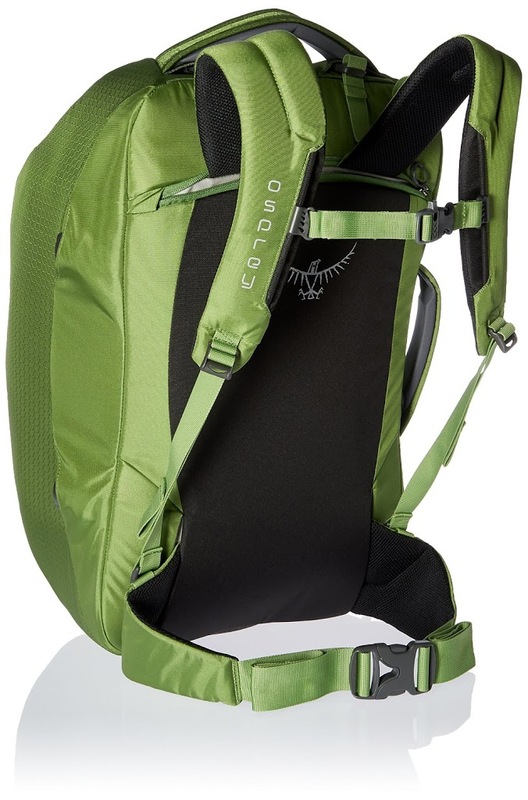 There is nothing worse when backpacking than being stuck with this huge bag strapped to your back with uncomfortable straps, especially if you will be walking with the bag on travel days. 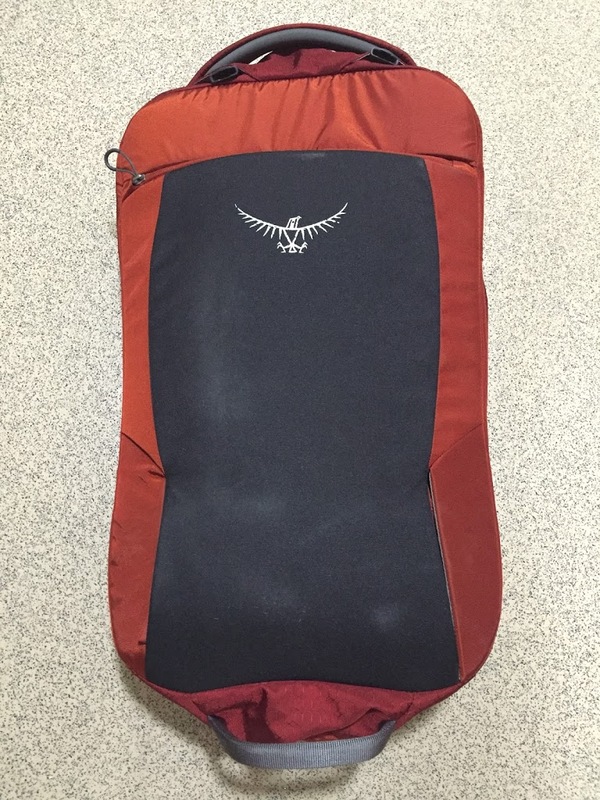 The Osprey Porter 46L has sturdy, adjustable straps that sit comfortably on your back and, when coupled with the waist band, distribute the weight evenly so that you don’t even realize how heavy your pack is. The strap height can be adjusted a bit for taller and shorter people and the chest strap can be adjusted as well. I don’t want to spend too much time on this section, but essentially 46 liters is a lot of space to pack in, especially with all the compartmentss. If you want to see how much stuff I took on my trip through Europe, check out my post here and thatis a good gauge of how much the ba holds. Trust me when I say this bag has more than enough space for almost any type of travel!10. And its Relatively afforable!!! The best part about this bag? You can get it on Amazon for under $100 for the black and green and under $150 for the orange(as of September 2016)! 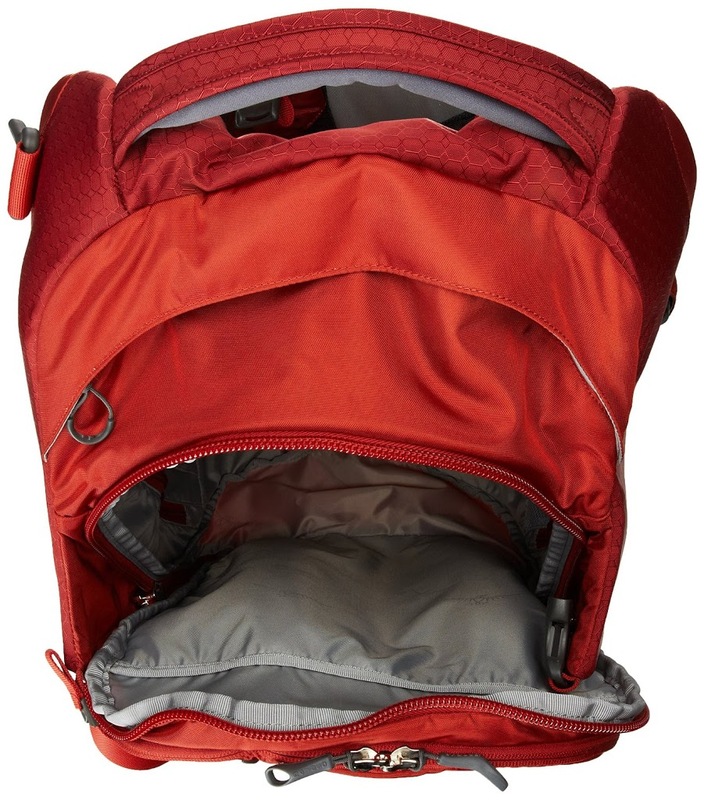 This is a bag that has 5 stars on Amazon, from a quality company and its so inexpensive! 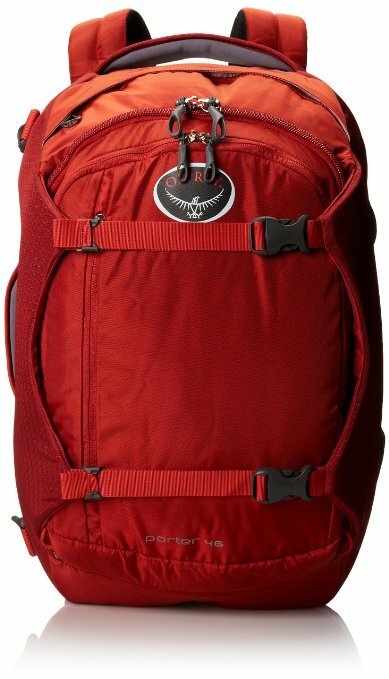 If you are looking for a spacious, reliable, carryon-sized backpack, I would 100% recommend this bag! If you have any questions about my experience with the bag or have any great recommendations for similar bags, drop a comment below! 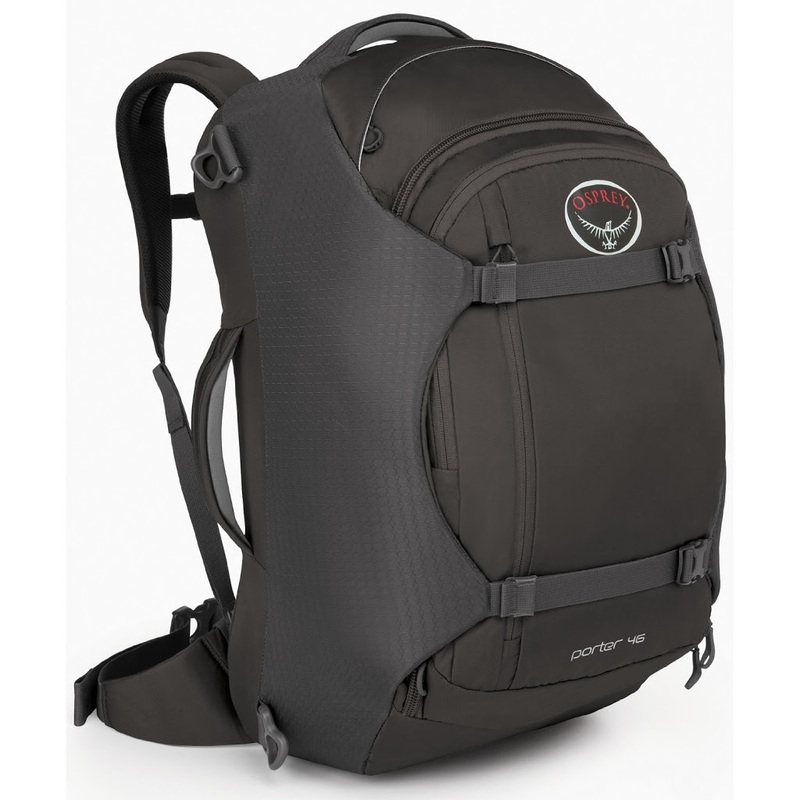 As always, from one misguided millennial to the world, this has been my review of the Osprey Porter 46L backpack!